While many meditation and philosophy books talk about the need to master your mind, this book provides practical methods to show you how it's done. Discover a yogic approach to consciousness and psychology rooted in the teachings of Kundalini Yoga Master Yogi Bhajan, PhD. Over 40 illustrated meditations demonstrate techniques for directing, clearing, and calming your mind. 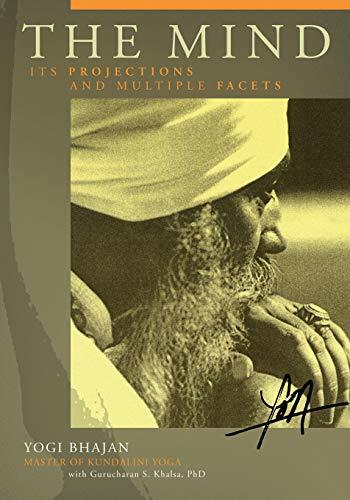 This concise, conversational book on Kundalini Yoga meditation will help prepare you to meet the challenges of the next millenium. "The charts easily guide you to select from the meditations." "It's a great tool for choosing a meditation to set the energy in meetings, to stay on focus, to reach our goals." "...is a heart to heart talk that takes you into the nature of the mind, the interplay of the positive, negative, and neutral minds, and our resulting personality styles or types." "I use it everyday to direct my mind and mood to meet the challenges at hand." This book is for those who want to understand and use meditation to develop and transform themselves. It has over 42 meditations coded to every aspect of the mind in our personality. It discusses the three basic minds, postive,negative and neutral. It links these to the inherited mind. It then classifies all the facets and projections that compose the automatic functions of our mind. It is the only book on Meditation that de-codes classical eastern thinking into a useable form for western psychology. It is like a Physician's Desk Reference for the average person. Deep and thorough. No fluff here. When you are all done, you will never again ignore the need to conquer your mind so you can conquer your world. As the co-author I can only tell you that thirty years of study with Yogi Bhajan, a master of meditation, has resulted in this book which is a foundation for the future of meditation to refine awareness and elevate the quality of your life. Lama Thubten Yeshe's approach to teaching tummo practice is totally inspired and practical. This book is a treasure for those of us who have already been instructed in tummo practice by a genuine living teacher. It seems important for us to note that these talks from a practice seminar given by Lama Thubten Yeshe were made available to the general public only by his students and only after his death. 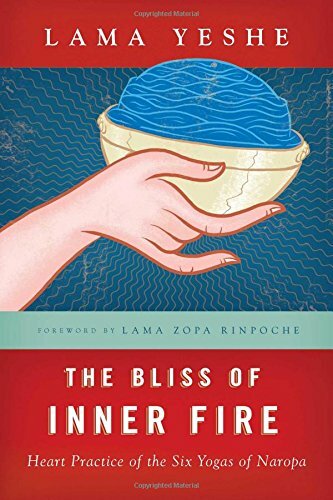 I don't believe that Lama Thubten Yeshe would have encouraged anyone to dive into these practices after just reading a book, without preparation, transmission, and direct practice instructions from an authentic teacher. My living Tibetan teacher of these practices, and all of the other excellent Tibetan teachers I have known, would never make written tummo instructions available to the public. We students of these living teachers are required to finish several extensive courses of vajrayana practice and receive formal transmission in a personal teaching situation before we are considered ready to make proper use of these profound instructions that help us to realize the inseparability of bliss and emptiness. We are told that it is essential to always approach the practice with the motives of awakening and benefit for other sentient beings. We are warned that mistakes in applying tummo practice instructions can cause mental and physical harm. I do know of people who have hurt themselves. So, please connect with a genuine teacher, fulfill prerequisites, get personal guidance and follow-up help in tummo practice, and then use this book as a precious resource to deepen your practice. Covers the same material as another wonderful book - The Clear Light Of Bliss. That book is more text-like. This book is more chatty and less organized, it seems to me. But there a lot of hidden jewels in the chattiness. If you're serious about The subject, best read both books. Tibetan buddhism has its share of the dry, the dead intellectual, the superstitious. But unlike some other religions that just ask that you believe fairy-tales, it also has a rich kernel of profound truth and practice that makes books like this absolutely priceless. This book is straight-forward, written from the heart, and includes enough of the essentials of the practices it promotes to enable a practitioner to start. Many authors and teachers of the tibetan buddhist lineages seem more concerned with parrating their scriptures or boosting their spot in heirarchy than communicating with those around them, and dealing with issues. The author of this book, however seems more concerned with communicating with those in his company or who are reading his books, to help them develop their own practice and fruits. Highly Recomended, also his other books as well. Virochana Khalsa - Author of "Tantra of the Beloved"
There are times in our lives that we need spiritual healing. Hungrily, we seek for self-discovery. We want to know how our soul and the spiritual world can comfort us when we are so vulnerable and want to seek an intellectual understanding on self, mind, spirit, reality, truth and God. While there are million books written for this very purpose, a simple dialogue of Maharshi gives us a basic guidlines about nature and our existence. It is comforting to read, regardless of ones previous beliefs about religion. It is a good soulfood for students, couples and self-inquirer who seeks peace and harmony. Recommended spiritual reading. 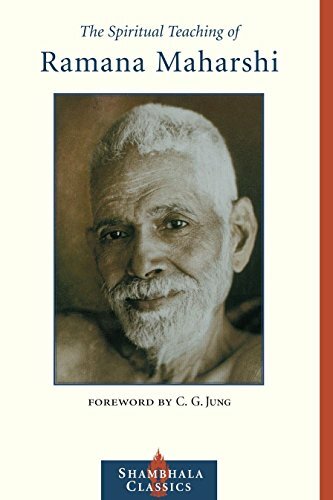 This is the central source book of all Sage Ramana's teachings. It is concise, clear, precise and to the point. The core of the Sages teaching is in Chapter One titled: "Who am I?" Sage Ramana rarely wrote instructions for spiritual seekers. "Who am I?" was compiled by a seeker Mr. Pillai around 1900. It is an invaluable Jewel to establish "THE TRUE IDENTITY". We typically identify our selves with the body, mind and intellect. When asked by some one we say "I am so and so, 6ft tall, 180 lbs, doctor, accountant, son of so and so, grand daughter of so and so, resident of Texas etc." We are sick, happy, sad and poor etc. We seek happiness in the material world. All these are modifications of our mind and psyche. Play of the psycho-somatic apparatus. The true source of PEACE and HAPPINESS is to know your "Real and True IDENTITY." Sage Ramana says in the very first page of "Who am I?" that you negate all these forms of false identifications and what remains is "Pure Conciousness." This PURE CONCIOUSNESS devoid of modifications is the gateway to the heart of "TRUE IDENTITY." You are Pure Awareness. Awareness is infinite, eternal, free from concepts of space-time and is "THE ULTIMATE SPIRIT." We can signify it by "Existence-Conciousness-Happiness." "I am 'I'" is Self-Realization. Nothing else. Plain and Simple. "BE". There is no light to see in your meditation, no extra sensory perceptions, no reading palms! If you are trying to become or becoming something "you are mid-stream and sharks are circling around." Give up these gimmicks and don't be taken away from the "ETERNAL TRUTH." 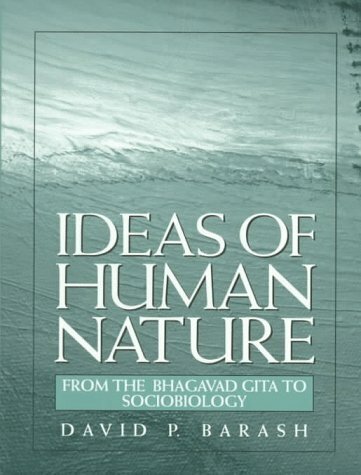 The book also contains a number of chapters where questions posed by sincere seekers and the pertinent answers given by the sage are cataloged, edited and presented clearly. This is a masterpiece that beckons: "ALL in ONE and ONE in ALL." Your religious faith could be Christianity, Judaism, Hinduism, Buddhism, Islamism, Agnostic ...what ever "ism" you like. The "SAGE ESTABLISED IN THE ONE REALITY" beckons you with warm smile and open heart. Open your heart and SEEK the final PEACE & HAPPINESS. Here and Right Now. Living with Siva is a unique daily devotional which guides the aspirant who wishes to take the essential first steps on the spiritual path. This includes systematic principles of self-discipline known in traditional Hinduism as the yamas and niyamas. Once dynamically applied the lessons bring order and rectitude into our lives establishing a firm foundation for successful spiritual life, meditation and eventual deep realization. If you're serious about getting results from your meditative practice -- read this book! It does an excellent job of explaining the principles behind various meditation practices. With a depth all to rare in this field. You'll find it's one of the best tools for people who actually meditate. Read it and you'll learn 25 different types of meditation...what they do...and why they work. If you're only interested in abstract, touchy feely stuff, this isn't for you. 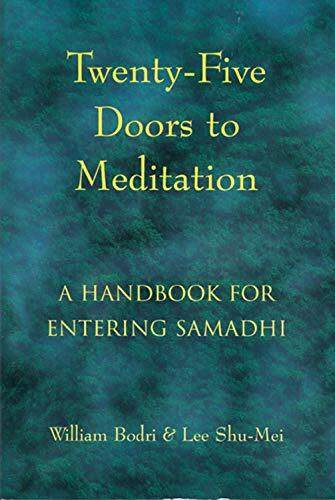 But if you want to actually get results and progress in your meditation -- whether you're a beginner or a veteran -- this is one of most helpful books you'll find. Serious meditators should also check out the author's website, www.meditationexpert.com. The stuff on there is the most detailed, comprehensive and useful information a meditator can find. If you have any real familiarity with the field you'll be HUGELY impressed with the info. on this site. Most of this information isn't available anywhere else to the western reader. The clear, detailed explanation will clear up a lot of the mistaken ideas about meditation and give you the tools to be able to understand meditation(theory & practice) ...and to get results. Seriously, check out the website. The more you know the more you'll be impressed. The book claimes to overview and relate various medative tradtions. It doesn't. It forces everything into a set pattern and ignores large chucks of tradition and the teachings of other traditions. The references to Christian prayer are just plain wrong, there is no mention of hesychasm, and the obvious tie in with bhakti devotion totally misstates christian belief and practice. Similar problems are seen with Judaism and Isalem. Some of the Daoist stuff also is very very different from what I've learned. I get a distinct sense the authors just tossed in everything they heard of and forced it to fit into their belief system, without a lot of research. Save your money and buy something else. This book is a compilation of spiritual practices and techniques, mostly derived from the Chinese (Taoist) and Indian (Hinduism, Buddhism) schools of philosophy and religion. The book is first and foremost, practical.Each technique is carefully described, along with other historical andbibliographical notes.These notes are useful for more inquisitive readerswho wish to learn more about a particular method or topic. The idea ofall these spiritual practices is the attainment of self-realisation.Thiscan also be called "enlightenment" or "seeing the Tao". The authors make a great deal of effort in trying to make this point;possibly because people get side-tracked, looking for mystical experience'sor the attainment of superpower's, which have nothing to do with the realspiritual path. The authors also emphasise proper behaviour and virtuousactions. In fact they say, before a person can make any real progress (onthe spiritual path), he must accumulate merit from performing good deeds.This is quite strange and unique.I have not come across any othermaterial, other than the books of Nan Huai Chin (BUY them), that talk aboutmoral conduct. I therefore recommend this book to anyone wishing to learnthe HOW's and WHY's of meditation practice.The book also should becommended because it try's to make an effort in explaining the spiritualpath, in terms of Western science. All to often, meditation books tell us,that a particular technique has been around for 1000 years and that's it!No further explanation as to why it actually benefits us or how the bodyactually gets healthy (it's true) through meditation. I hope this tellsyou what you want know! There is a flurry of "spiritual activity" out there, with hundreds and hundreds of books expounding on spiritual cultivationand all kinds of esoteric or New Age practices.Oftentimes, the literature is confusing and easily leads the inexperienced reader astray.One would expect that the writer of such subjects to have at least some degree of personal attainment or realization, which I've found in general not to be the case.This is what makes this book all the more invaluable.Bill and Shu-Mei are serious practitioners who back theory with countless hours of practice and self-realization.They belong to a select few who have been trained directly by the great Master Nan Huai-chin, one of the few true Zen Masters still living today.Both spent more than 10 years in dedicated practice, all devoted exclusively to the pursuit of the Way. I was also one of the few who was priviledged to see a draft of this book before it came out (the authors' courtesy) a! ! nd was awaiting anxiously to see it out in press.I have very little doubt that Bill and Shu-Mei will emerge as among the foremost masters of Zen for many years to come.In the tradition of Master Nan, their approach is refreshingly non-sectarian, teaching the practitioner the practical aspects (what really matters!) of the various cultivation schools.By drawing the reader's attention to the common features underlying the various meditation techniques, the authors succeed in building from ground up a robust scientific and biophysical foundation for spiritual cultivation that demystifies much of the superstition and beliefs that have clouded this field in the past.Readers who are serious practitioners of meditation will treasure this book. A "must have" book for the mechanics of meditation. The intersection of East and West is a vital one on many levels. The efforts to integrate Buddhism and its therapeutic ancestors to the Western ideas of Jungian Psychology have been particularly fruitful. 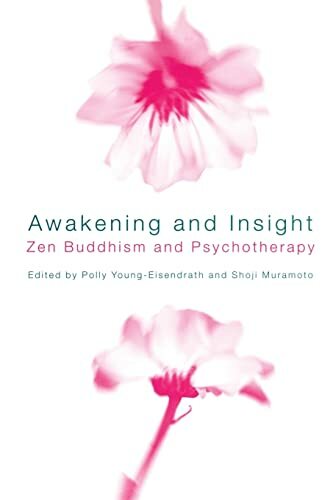 Taking Japanese Zen-Buddhism as its starting point, Awakening and Insight is a collection of critiques and histories of Buddhism from a psychological perspective. One of the most influential figures of the twentieth century, M. K. Gandhi was a revolutionary leader not only in politics, but also in religion. It was for the power of his devotion to God that he was granted the title Mahatma, Great Soul, and continues to be regarded by millions as a Hindu saint. This book explores the deep religious roots of Gandhi's worldly accomplishments, and reveals, in his own words, his intellectual, moral and spiritual approaches to the divine. One of the most influential figures of the 20th century, Mahatma Gandhi was a 'man of God disguised as a politician' in his own words. As a political liberator his name shall ever be remembered in history, but it is his contribution to the humanity's inner life that would prove more important in the long run. According to him any social change or political transformation should be founded on a spiritual awakening. Gandhi remained a Hindu by religious affiliation, but adopted a form of universal worship. He believed in the oneness of God and the legitimacy of all religions as leading to the same God, known by different names. This 'Great Soul of India' (Mahatma) was indeed 'the light of the world'. As Michael Nagler put it, "He went into the heart of everything and touched the hearts of millions because he chose and clung to the one essential thing, which is to awaken God or Truth within the individual". Gandhi's spiritual thoughts scattered in his various writings were put together as a book by M S Deshpande and published in India in 1971 under the title "Pathway to God". This edition of it, slightly altered in content, is now available to the American readers for the first time. It has a 'Forward' by his grandson, Arun Gandhi and a very informative 'Introduction' by Michael Nagler. This book has captured the heart of the Mahatma whose life reflected every thought of his expressed in this book. This edition offers to the reader a wealth of spiritual insights providing food for reflection and meditation. 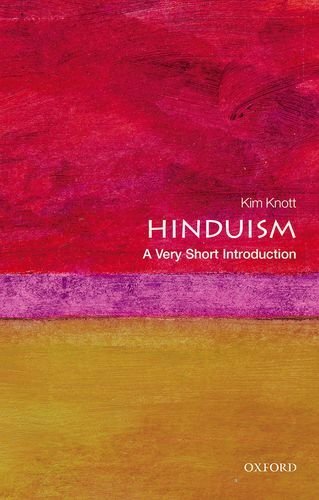 A familiarity with some of the Hindu categories may help a better understanding of the spiritual concepts laid out in the book. So many people admire Gandhi's life and his very visible, political spirituality. His spirituality had deep, Hindu roots, which he explained in many writings. This book is excerpts of those writings, arranged by subject. In the introduction we are told of an incident where a politician told Gandhi that they were both men of God. Gandhi replies, "You are a politician disguised as a man of God. I am a man of God disguised as a politician." The truth of that statement comes out in his writings. "It is the duty of every human being to look carefully within and see himself as he is, and spare no pains to improve himself in body, mind and soul. He should realize the mischief wrought by injustice, wickedness, vanity and the like, and do his best to fight them." Linda Johnsen is a wise wise woman! This book is absolutly stunningly beautiful.Reading it is a spiritual experience in it self.The author has in mind not only the western student of Hinduism but also women of the Goddess Spirituality movement.6 goddesses get entire chapters devoted to them:Sarasvati, Lakshmi, Durga, Lalita, and Kundalini.But through out the book many many Hindu goddesses are covered in depth--including the goddess most misunderstood by westerners: the great goddess Kali.Johnsen points out the mistake made be western pagans of ivoking Kali as the embodiment of rightous anger.We have inherited from the classicists a tendency to assign goddesses a small sphere of influence (ex: "Aphrodite" is always followed by the description, "goddess of love") instead of understanding them as full and complete deities.Kali is first and foremost a Mother.She has many many aspects--one of which is a "slayer of demons"--but she is not an "angry" goddess.This book is enlightening.It is written in language that anyone can understand. 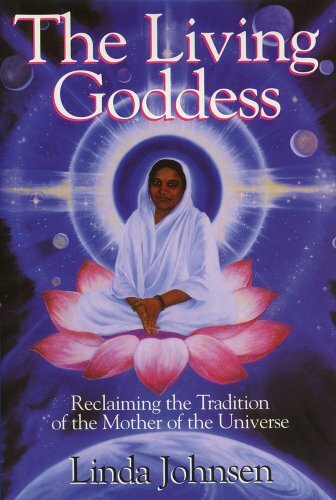 It backs up every idea with examples and metaphors to help us understand.The author is incredibly knowledgable in many subjects.Although i did not agree with every word the author wrote--all of her words have enriched my spiritual life.I have come away from this book with a deeper understanding of Goddess.I know that i will read this book over and over again.It is scholarly, reverent, and all around mind blowing.This book contains four color plates of the goddesses Lalita, Durga, Sarasvati, and Lakshmi.It should not only be read by women but is totally accessable to men--and they don't have to worry about being put down or blamed for patriarchal abuses.It is feminist in perspective but in the highest sense of the word. You will also find information in here about the goddesses' consorts.Read this Book!!! i tried to like this book and failed. it's the resurrection and there is nothing else.i think you have to take that or leave it.i decided to take it.linda is obviously a scholar but if you don't believe in being guided by this traditiion it it just a lot of mumble jumble nonsense which one can enjoy reading, i did somewhat, but you have to enjoy reading fiction.i kept hoping she could cover in some detail how to reconcile a fundamental tenet to christianity and this tradition-she did not. 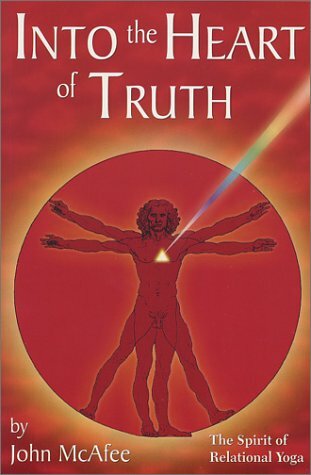 This book blew my mind.I have been reading and studying truth for nearly thirty years. Head knowledge I have....what was missing was the heart devotion. Linda Johnsen's book provides a feast for both. She is ascholar , an outstanding writer , has had a moment of knowingherself....and devotion . What more is needed? I have never run acrossbetterexplanation of this wonderful, LIVING tradition of the Goddess asworshiped in India for many thousand of years. Johnsen beautifullyexplains the deep issues illustrated in what seemed to be simplefairytails . 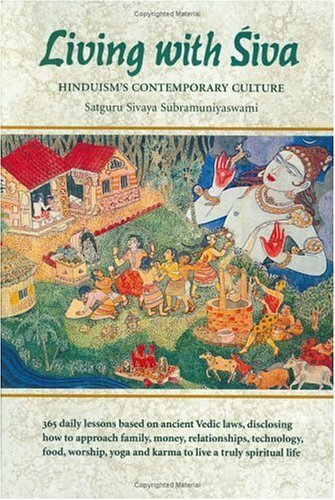 You'll see Hindu culture much diffirently after reading thisbook. The clarity and beauty ofJohnsen'swriting , plus her deepunderstanding of the subject, will make this book a favorite. Look foranything from this author .She never disappoints . 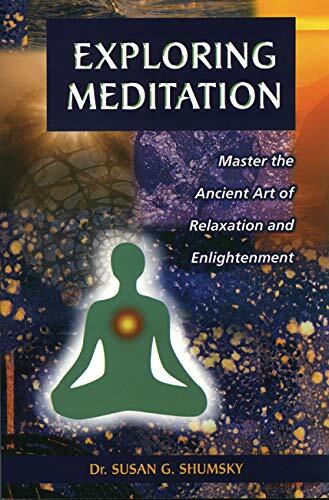 This spiritual self-help book offers easy, step-by-step ways to master the ancient arts of meditation and enlightenment. It offers practical techniques to increase love, power and energy, reduce stress and tension, improve health, reverse aging, and bring well-being, contentment, and peace of mind to everyday life. This book does not assume any prior experience in inner exploration. 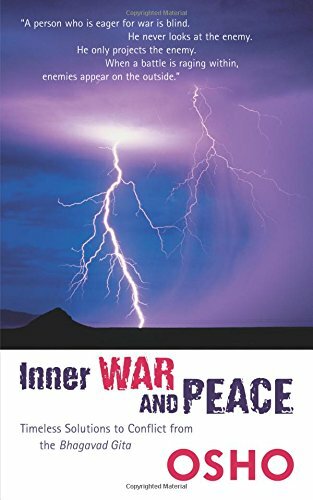 It demystifies abstract concepts and provides a road map to the inner life, leading beginners safely through the maze of the spiritual path, pointing out signposts and pitfalls along the way.Its field-proven methods have been tested and verified by thousands of students from all backgrounds, who have experienced significant benefits. Exploring Mediation by Susan G Shumsky - I almost finished with this book - and I began reading it 2 days ago and I simply couldn't abandoned it. I bought this book only because I wanted to order some more books on Amazon which wasn't planned at all. I though it was full of different meditation techniques - but how wrong my predicaments where. It's truly an amazing spiritual book full of inspiring material, one brilliant meditation technique, learning how to talk to your higher self, spirits and more. She also writes about Karma in a way which is different from what I have seen before- making it easy to understand this very complex matter in a new way. She has been working with spirituality for 36 years, and shows you how to avoid pitfalls and much much more. I highly recommend it! Susan Shumsky's book goes one step further than claiming to be great for beginners -- it truly delivers. Offering meditation for the meditatively challenged, yoga exercises for couch potatoes, karma for skeptics, prayer for the faithless and enlightenment for the ignorant -- EXPLORING MEDITATION blazes new trails into eastern philosophy that almost anyone can easily master. Written in a clear, descriptive, straightforward style, this book opens the doors to understanding non-duality, chakras, ESP (extra-sensory perception), karma, yoga, meditation, intuition, healing, vedas, gunas, and spirit. I personally most enjoy reading the sections on how to trouble-shoot one's meditation problems. Have you ever intended to meditate, but kept finding the same tedious thoughts racing through your mind? How about the problem of listening carefully, but not getting any clear messages? Susan Shumsky answers all these questions and more with grace and aplomb. Prolific author and seeker John McAfee in his provocative new book, Into the Heart of Truth, leads the reader to an understanding of real truth. Since truth is interpreted through our own conditioning---beliefs, fears, cravings and anticipations---how do we determine absolute truth? The answer is Relational Yoga, based on the principle of bringing the practice of yoga into our everyday activities. This eye-opener is divided into three parts, all designed to enable us to understand and discover who we are. Part One, The Importance of Relationship, points out that "It is through relationship that we assert our personal identities, and it in the mirror of relationship that we see ourselves and know our natures." Part Two of In the Heart of Truth, The Fabric of the Self, discusses the conclusions we all form about ourselves---how and where self-image is created, and why. Mr. McAfee writes, "Any serious, earnest approach to the question "Who am I?" must begin with an understanding of this image of ourselves we have created." Further, he suggests that our image of ourselves is dynamic, fluid and always changing based on our relationships. The end section, Relational Yoga, is a compilation of thousands of years of wisdom that (perhaps) began with the Yoga Sutras of Patanjali. We learn that, "...Relational Yoga is a mechanism of profound change--not just relationships to our loved ones, but our relationship to all of life." A further understanding of Patanjali's wisdom can be found in Beyond the Siddhis---see my review. John McAfee has given us enlightenment. Into the Heart of Truth illuminates the path to self-understanding and truth! I had seen a few ads in Yoga Journal for Relational Yoga retreats and other Relational Yoga events and hadn't paid them much mind. I assumed Relational Yoga was yet one more yoga fad that I didn't have time for. But when a friend turned me on to this book I was spellbound. McAfee manages, with simplicity and directness, to peel back the unecessary and overworked surface layers of yoga and shows us the inner heart. I found this book to be enlightening at many levels. First, my yoga practice has blossomed enormously as a result. Second, I have begun integrating the heart of yoga into my everyday life with profound results. And lastly, I have begun to perceive myself in a new light that shines more direct, more brightly and more true. While a bit ambiguous in some parts the book over all would be a great complement to anyone seeking a deeper understanding of the self and especially so when combined with their YOGA practice. I find it odd that the first review thanks the author directly as if they know him and that many of the first reviews only point out the "greatness" of the book. With apparently no critical view points at all. The second is from some one from the same area where the relational yoga center (The place where the author trains) is based out of. The third is from a Jennifer Irwin from WA which happens to be the same name as the person who directed the relational yoga DVD. They are also written within days of each other. I do find this odd and concerning... while I have seen the "review bating" done before I would not expect it from this source IF THIS IS indeed what has taken place. It would be like a movie star and their family being the ones to determine their oscar worthiness. I agree with the reader reviews here as far as the book's fascinating general message. On the other hand, the writing style greatly disappointed me. I would love to find a similar book out there that more ably explains the same concepts albeit in a sharper (clearer), less general, and more stimulating manner. Having read the previous review, I can answer quite simply that the author is talking to nearly everyone that I know - he's certainly talking to me. Far from assuming anything about the life of the reader, McAfee presents universal yogic truths in a way that makes the reader confront himself. This will make some readers bristle, bewilder others and for most create a tension between their image of themselves and the truth of themselves. McAfee resolves this tension gently and delicately in the final chapters. The resolution lies in the unvarnished observation of ourselves as we relate to his words and images. what's so opaque about the aphorisms that writers start to pre-interpret them for you, invariably tinted with their own precepts and ideas? It's a little like somebody chewing your food for you. The aphorisms are not that opaque and its an enjoyable and useful excercise to read them in their simple, bare and clear form, until the understanding comes - your own realizations rather then someone elses. You could read a book like this over the weekend, but I'm not sure it's supposed to be read like that. It seems better you should do the mental work yourself, aphorism by aphorism. There is an effect to this, which could be lost if it's all been solved and explained for you. Therefore I prefer authors that appeared to be going to great lengths to avoid adding too much of their own coloring, like William Q. Judge's interpretation from 1914. That is regrettably only available from Kessinger in bound photocopy format. I wish somebody would make a decent new print of it. Anyways, Patanjali's aphorisms are worth the time in any form and I shall thank any author who spent his time to bring them to more of us, different introductions will appeal to different people. Criticizing other's interpretations of the sutra is not the way to expound your own understanding (or lack of it) of this classic yoga text. Yoga is a practical science, not an academic exposition of your point of view. If you want to gain a working, practical understanding of the sutra to deepen your own personal practice, try a translation by one of the Indian interpreters such as I.K. Taimni. I have looked at atleast 8 translations of Patanjali. Dr. Feurstein's is among the best. Particularly appealing is his defining Sanskrit roots, however, I wish he would have had the text in Sanskrit as well as transliteration. At times he gets overly pedantic and I believe misses the meaning of the sutra. It is the problem with all the available translations. Some of his translations don't make sense. Once again a common problem. At times he comes forth with very astute observations. It is not easy to get to Kaivalya from here. A clear translation and worthwhile quide. I am presently studying Pantanjali's Yoga Sutras with about sixteen other students. The fact that Patanjali's sutras are, by there very nature, brief to the extreme (sometimes only sentence fragments) presents a real challenge and a dilemma for the student. What is the real meaning of these sutras as intended by Patanjali and how is this meaning to be understood in the larger context of yoga philosophy and practice? One has only to see the large number of translations available in the market, all differing on key points of philosophy and understanding, to experience this dilemma. In Georg Feurstein's book "The Yoga-Sutra of Patanjali" I found the translation and commentary to be straight to the point and very useful. In his book,, Feurstein first examines and exposes the philosophical ground of Yoga philosophy thus helping the student to build a basis on which to understand Patanjali's sutras. Then Feurstein, prior to beginning the translation of the sutras, presents an overview of the topics discussed by Patanjali. And then, in translating and commenting on the sutras, Feurstein first presents the sutra in transliterated Roman script and then gives a word by word translation along with the Sanskrit breakdown and derivation, if important. He then translates the sutra and offers a detailed commentary. 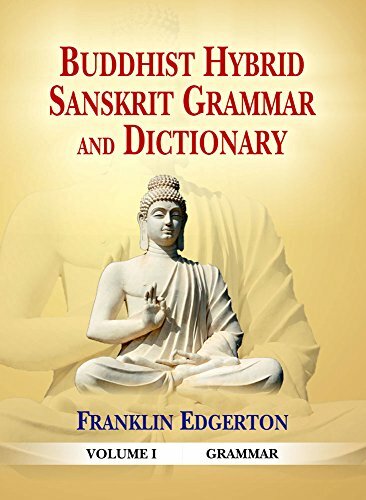 At the end of the book he offers two appendices which I found quite useful; "Continuous translation" of the sutras; and Word Index of the Yoga-Sutra. Feursteins understanding of the "language of yoga" is apparent. With confidence, Feurstein easily guides us through bumpy and difficult terrain which are the Yoga Sutras. His translations of the sutras were perceptive and understandable and his commentary was illumined. I continue to find this book to be very helpful in my yoga studies and I highly recommend it to anyone who is interesting in understanding Patanjali's Yoga Sutras. One of the greatest books about living the life of a yogi, this book provides great inspiration towards spirituality and devotion towards one's own master(Guru bhakti). 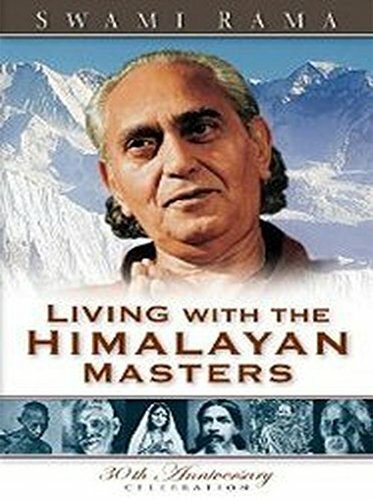 Reading this book provided a feeling of living with the great Swami Rama throughout his life in Himalayas. It changed my life and thinking and oriented me towards actions needed to reach one's own goal. Swami Rama is one of the overlooked great figures of our time. For twenty years I had the privledge of being one of his students. His indepth understanding of the human condition, his selfless service and his profound attainment of states higher consciousness was a wonder to behold. In this autobiography he relates in a humble way his encounters with his early teachers. Since he was raised in a cave monestary from the age of four his life was very different from our modern way of developing as a person. While some of the stories stretch our credability they all actually happened. I realize that many people have difficulty accepting other peoples experience, especially if it outside the range of their own limited life experience and challange our own fixed ideas. Swami Rama definitely challanges us about how the world is, in a very real way, but I find that challange refreshing and inspiring. His core experience, that the goal of human life is spiritual attainment and Self realization pulls us out of our small limited view of the world. It is one of the great spiritual classics. If I was stranded on a desert island with only three books this would be one of them. I didn't want to put this book down. Partly because the experiences from Swami Rama's life are nearly beyond belief almost as if from the Arabian Nights stories. There are sages with extraordinary powers. But what I really like about this book is Swami Rama doesn't put these feats on a pedastal. He says they are remarkable, but he doesn't worship them. To him these beyond-belief feats show how versatile and ingenious humans can be on the spiritual side (instead of just the technological/scientific side). But Rama knows that these pursuits turn into distractions from the noble pursuit of self-knowledge, and knowledge of Reality. Few people on Earth have accumulated the spiritual wisdom that Rama did, yet instead of making me feel inferior, I felt inspired to put more of an effort to develop inner spirituality. You learn in the book that he wasn't born with the wisdom. He was foolish growing up, and his guru had to cut down his ego numerous times. But he persevered and never kept his eyes (Third Eye, intuition included) off his goal of self-realization. I was able to translate his extraordinary experiences to my own life, and I felt like the lessons he studied are lessons we all study through out different experiences. I enjoy gaining some understanding into the underlying order of existence. It's not all for naught. Also, he clarifies how scientific true spirituality is. It isn't some ambiguous undirected meditative prayer. And it isn't metaphorical, but a rigorous system of self-inquiry requiring discipline and dedication. With enough effort there will be real spiritual experiences that can be duplicated and attained consciously. Rama didn't say it's easy, just that anyone with enough dedication can make measurable progress. Lastly, Rama's points about people's lack of understanding about death is fascinating. Just about everyone has a fear of dying. Most are too young for it to be an immediate fear, but those who are near their deathbed from old age, accident, or disease know the mental anguish of isolation, of being forced from life. From the sages of the Himlayas, he learns how mastery of death is possible. The fact that Swami Rama passed peacefully into death without any fear is testament to his wisdom, and something we can all learn from considering the fire of death is something we all have to pass through. 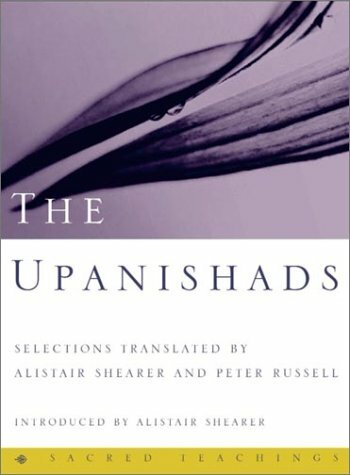 The Upanishads are the oldest and clearest expression of the perennial philosophy that is the inner core of all the great religions. Passed down by word of mouth for five thousand years, they teach of an absolute and unified field of intelligence that underlies and permeates all creation. This divine ground is our own nature, and to bring our lives into conscious harmony with it is the ultimate purpose of human existence. 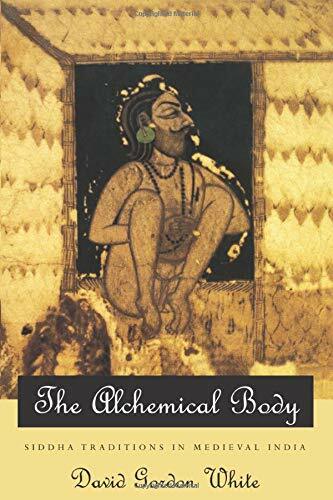 The Alchemical Body excavates and centers within its Indian context the lost tradition of the medieval Siddhas. Working from previously unexplored alchemical sources, David Gordon White demonstrates for the first time that the medieval disciplines of Hindu alchemy and hatha yoga were practiced by one and the same people, and that they can be understood only when viewed together. White opens the way to a new and more comprehensive understanding of medieval Indian mysticism, within the broader context of south Asian Hinduism, Buddhism, Jainism, and Islam. Although the book has some interesting material, it in not a satisfactory book on Tantra. White has not approached the subject with sufficient humility, and he has gotten carried away by his ideological positions. I just bought this book, and must say that I am very, very disappointed. Topics such as Siddhas, tantra and alchemy cannot be understood by someone who is an outsider; whose sole claim to knowledge is based on reading, and which is centred around knowing terminology and cross-cultural comparisons. This book is all about knowing the various terms associated with Siddhas, with guesstimating who this or that historical personage was, without a shred of PERSONAL experience. Now, as a reader, if this is what you are looking for, then this book will make you happy. But be wary of basing too much on such knowledge, it would be like someone who has never flown a plane writing a tome on flying aircraft. All the external details are likely to be correct, but they are worthless by themselves. The most astonishing part of the book is that, the author, in the last chapter, speaks about the time he meets a modern day Siddha, someone who could give him some personal insight. But, incredibly, nothing comes of the meeting... apparently, the Siddha did not have enough "facts" or "data" to interest the author, all he seemed to have was personal knowledge, which was not good enough! One last point - the book has nearly 500 pages. But about 150 of those are the notes and the bibliography. Again, a lot of research has probably gone into the book, but if you are looking to read about Siddhas, alchemy and tantra from someone who KNOWS, rather than from someone who has HEARD, you are certain to be disappointed. This is the first book to address the very esoteric subject of East Indian alchemy. Although the authors writing style is somewhat tedious due his long and dry scholarly approach, there are some gems of wisdom to be found here. Both inner and outer alchemy are covered in the book. If you're looking for clear links between Christian faith and the practice of yoga and meditation, this book is for you. 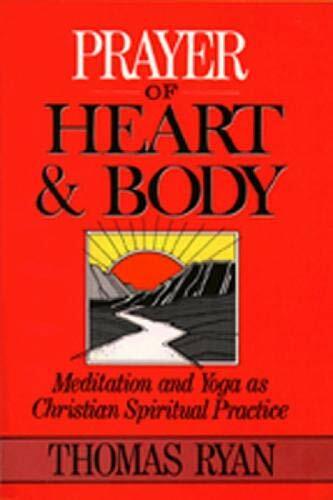 Prayer of Heart and Body will help you integrate teachings from the Christian contemplative tradition into your practice and encourage a new appreciation for the role of the body in prayer. "Yoga," says the author, is "meditation in motion, a way to pray with one's whole being--body, mind and spirit. It was originally designed to prepare people for sitting meditation." The two work powerfully together. As a Christian pastor who has found yoga helpful in my own physical and spiritual journey I have looked for something to help me discern the religious dynamics behind and or within yoga. Thomas Ryan's book is wise, clear, exceptionally well-writtten and uplifting as well. I love his chapter on How Yoga can help a Chrstian Pray. Ryan describes the way yoga works within our bodily systems in a way that makes what I have experienced for many years understandable for the first time. He also shows us how Christians can utilize the practice of yoga as a springboard to deeper levels of surrender and as Christians, to focus our surrender into the presence of God. In the chapter, Notions Strange to Christian Ears, the author clarifies concepts connected with yoga and compares them to Christian beliefs in a very insightful way that I found immensely helpful. He explores the concepts of reincarnation, kundalini energy, chakras and astral bodies and contrasts them with Christian convictions about death and resurrection, and the goal of meditation-prayer for Christians: communion and even union with God. Some Christians are afraid of Yoga, or condemnatory. I have always felt a l ittle unsettled because I did not understand how yoga and Christianity interfaced. I have a lot more to read in this wonderful book and am finding it perfect for my search. Ryan also offers insights that I find immensely helpful in my own spiritual practice: like cues during the day that can call me to take an idle moment and focus it in some deep prayerful breathing, times of tension or discouragement or tiredness or boredom that can be my moment to breath the Breath of Life again. I have only read two chapters of this exceptional book and am stopping writing to go back to the delight of reading it. I invite you to give yourself a gift!